Some dishes are the stuff of Disney legends. The same certainly goes for 1900 Park Fare at Disney’s Grand Floridian Resort and Spa. While our experiences here have been varied, many readers love the place! And one dish I agree is outstanding is the cold Strawberry Soup. Creamy, sweet, and beautifully bright pink, the soup beckons to you, and you just know you must try it. Of course, it’s hard to describe this. I’m usually not a fan of cold soup, but I couldn’t get enough of this one! The enormous bowl of bright red strawberries, to be used as a garnish, sweetens the deal. The first time I tried the soup, I knew that there were probably copious amounts of cream here. But still, it’s fruit, right? Which makes it totally healthy! And since it’s getting to be strawberry season, it’s the perfect time to share the recipe with you! This will make a fantastic addition to your next special brunch or lunch — and it will help tide you over until your next visit with Alice, Mary Poppins, and Pooh! 1. Thaw the frozen berries in their juices. 2. Blend all of the ingredients (except the fresh berries) on low until smooth. 3. Chill, shake well before serving. 4. Add fresh strawberry halves as a garnish. Will you be making strawberry soup this weekend? Let us know when you’ll be using this quick and easy recipe! I’ve never had this so I have to ask, is it more of a dessert? I just can’t wrap my head around this dish. Marci — It could be a dessert, absolutely. 🙂 Doesn’t have to be, though! Delicious as a dessert, but equally delectable served as a first course, especially on a hot summer day when you’re sipping Campari on a sunny terrazzo in Italy. 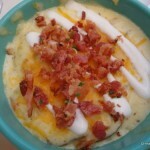 I made this once having never tried it at Disney. I was surprised by how sweet it wasn’t. It was actually quite bland. I don’t know if Disney adds sugar, but the recipe has no sweetener. Strawberries in and of themselves are more tart than sweet. lebeau — I haven’t tried it at Disney, but I looked it up in Pam Brandon’s Delicious Disney and there the recipe calls for “2 and a half pounds of strawberries, thawed with juice” and has a “tablespoon of sugar, optional” as well. I wonder if the frozen strawberries are the presweetened ones? You know, the ones that come in a block instead of being individually frozen. Maybe someone who has had it there could give us insight. I’d like to try making it but I think I’d like it a little sweet. Frozen strawberries also don’t compare in flavor to fresh ones. Frozen seems like an okay way to go when the berries are off season, but if you can get fresh local strawberries in season they are usually naturally pretty sweet. I’d try with that and see if you got better results. 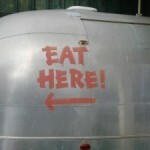 If not, you can always add the sugar. Part of the problem is that strawberries in the U.S. have had the flavor bred out of them in order to make them larger, more transportable, longer lasting, and more visually appealing. Strawberries are sweeter (and taste like strawberries) when they’re smaller and when they’re red all the way through. Modern, agribusiness strawberries are nice and red on the outside and then mostly white inside, without much flavor or sweetness. If you can, pick your own from a small, local grower during strawberry season (early summer where I live), and you’ll be rewarded with a good-tasting, sweet, old-fashioned strawberry. Better yet, come across a patch of wild strawberries when you’re out wandering the fields and meadows–then you’ll really have found heaven! This sounds delicious! I have a strawberry farm down my road! Would I use the same amount of fresh strawberries to replace the frozen ones? Ive never made it from a recipe Ive just made is from scratch almost the same but without yogurt & I always add sugar but a good strawberry is just as sweet as it is tart & doenst need sugar. Ive had the best strawberries in South Korea, I earnestly long for them now! If you let the strawberries in the US overly ripe (which means you have to be super patient & we all know were not!) then they are almost just as delish! 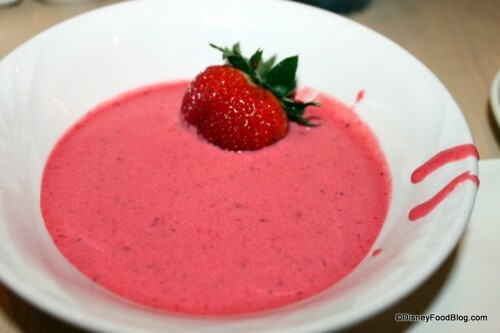 I have had this strawberry soup several times and absolutely LOVE IT! 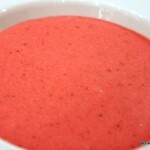 As a matter of fact, that is the main reason I have dinner at 1900 Park Fare, to have their strawberry soup. I can never settle for only one bowl either. It’s just wonderful! We were there this past Dec. 2012 so it has been awhile! I had this cold Strawberry soup at the Grand Florida Hotel at Disney. After eating 4 bowls I asked if there was any way the chef would give me the recipe. The chef came to our table with not only a big smile, he asked who wanted the recipe. I answered I did. He handed me a hand written recipe of this fabulous soup! Then he turned & had a gal give me another big bowl!